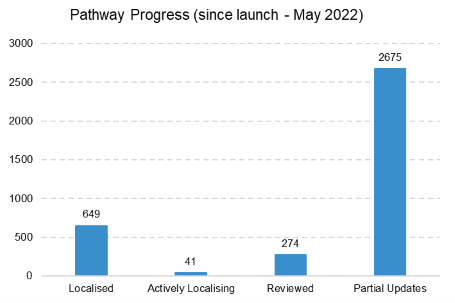 Pathway Progress: 15 pathways went live in March 2019, bringing the total live pathways to 492. Sessions: March 2019 had an increase of 836 sessions or 18.15% compared to the previous month. Pageviews: March 2019 had 5031 more pageviews than February 2019, a 24.45% increase. Users: March 2019 had an increase of 158 users or 10.8% compared to the previous month. 2018 was a great year for GP education events – see GP Education Events Snapshot 2018 for details.